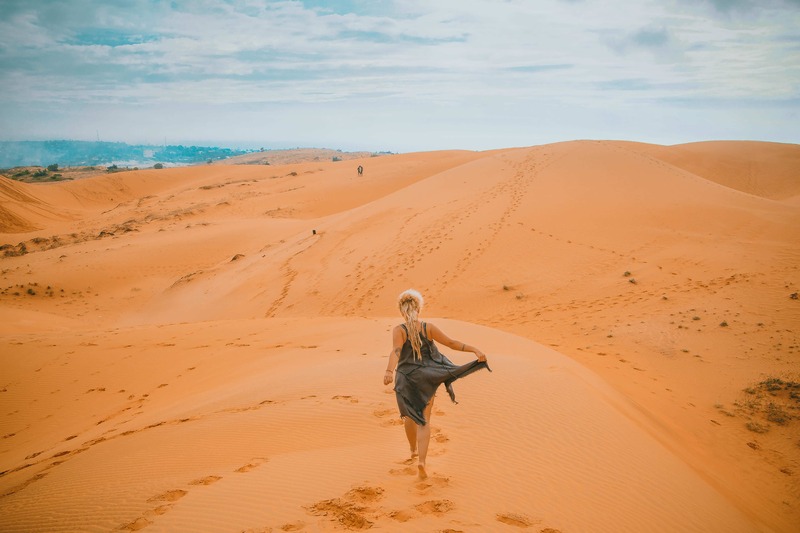 Limited with time to explore Vietnam to the fullest we had to plan our schedule wisely and try to fit as much as possible to see the central and south part of this colourful country! 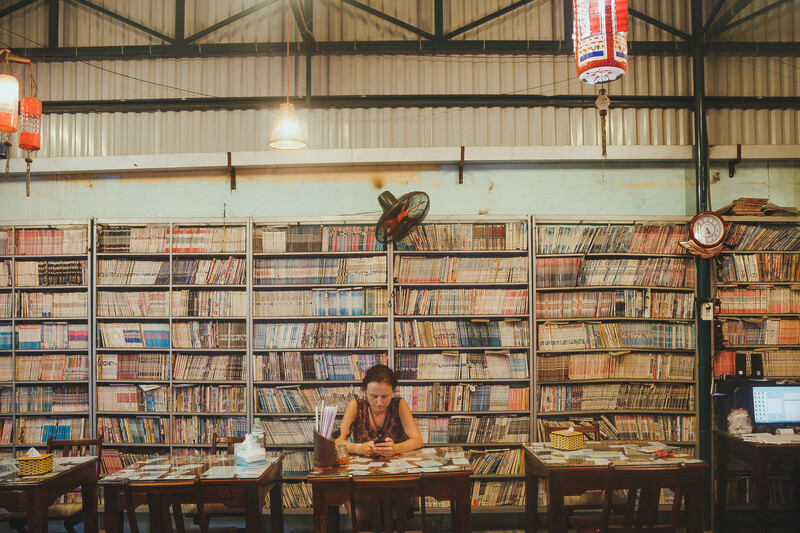 Even though we love trains and believe that its a great way to see any country its also a really time consuming option so we had to rely on airports which Vietnam has many! From Hanoi we took a domestic 1,2 hour flight to Da Nang, which is a small city situated not far from the famous Hoi An. 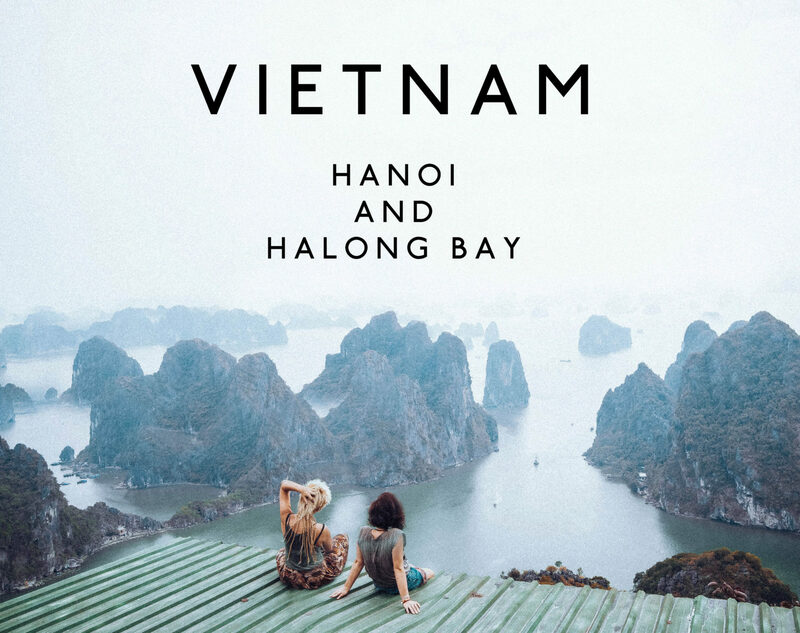 There is not much to do in Da Nang but it’s a great stop if you want to travel a bit around the area. We chose Memory Hostel by convenient location, stylish interior and nice rooftop area and our stay was literally based on exploring vegan places and coffee shops around and further in town. How rewarding it was to find a little local canteen nearby our hostel serving authentic homemade meals. The place is called Ngoc Chi Vegeterian Restaurant. Vietnamese vegan awesomeness! You should definitely try their traditional noodle soup – Pho – vegan version with steamed and boiled mixed vegetables in veggie broth full of spices and herbs, rice noodles, tofu and sautéed mushrooms. Always served with bean sprouts, lots of thai basil, coriander, jalapenos, lime and chili sauce on the side. Everything there is insanely cheap we probably payed 1£ for a main meal. 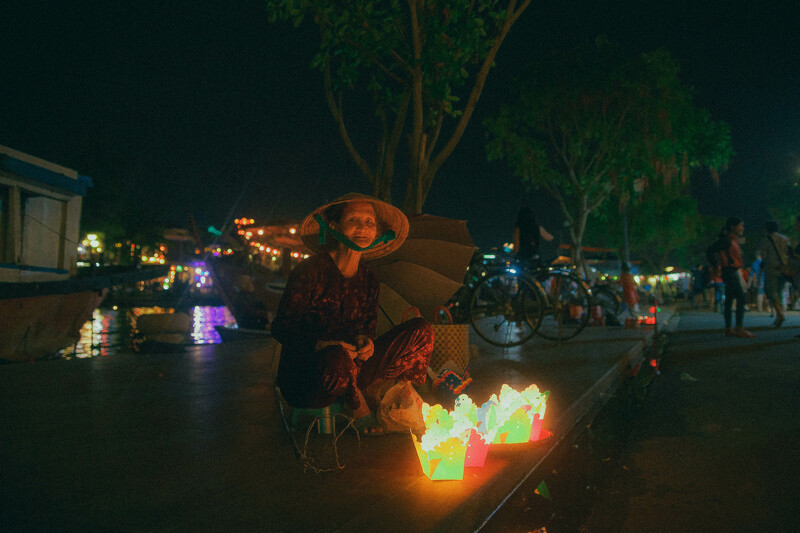 Hoi An, the Venice of Vietnam, is a must stop for anyone venturing south of Hanoi. 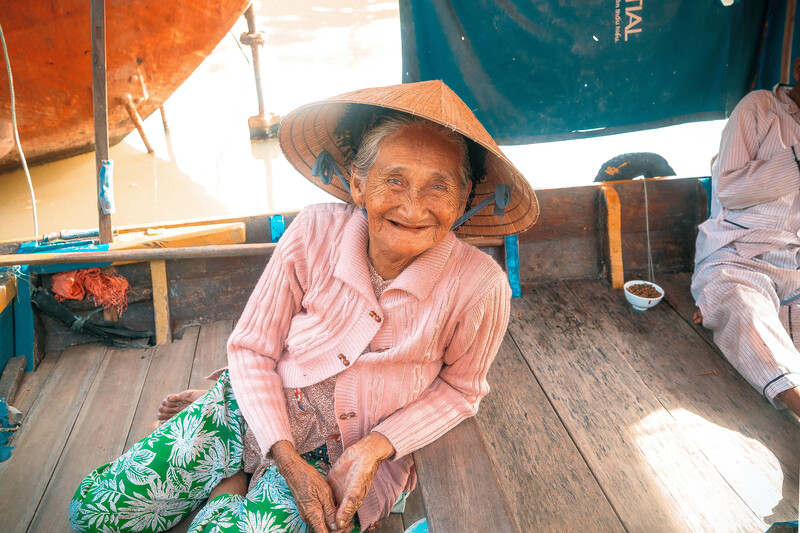 The town is special because unlike the most of the country that has seen so much development in the last century, Hoi An’s architecture has stayed intact – the silting up of the Thu Bon river so boats couldn’t pass has a lot to do with it! 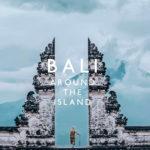 For this reason it’s atmospheric in a way that many places in the country are not, but still has the chaos of Asia that we love so much! 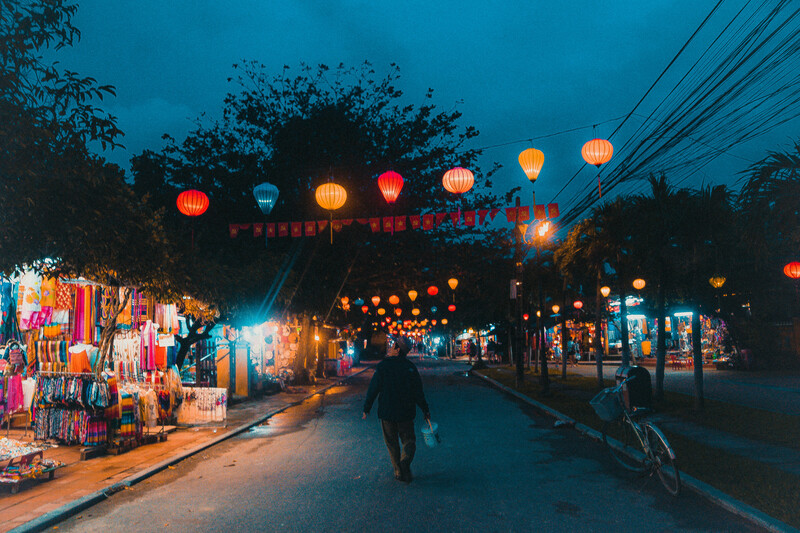 It takes only 50 minutes to reach Hoi An by taking a local bus from Da Nang and it probably costs around £0,50, just ask locals or double check with your hostel where the bus stop is. 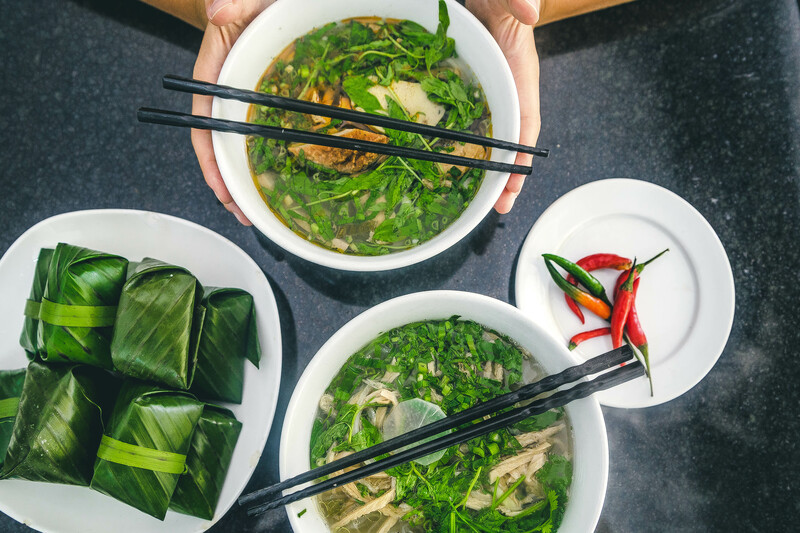 Before you start to explore Hoi An we highly recommend to visit Minh Hien Vegeterian Restaurant, another authentic place with local foodies. 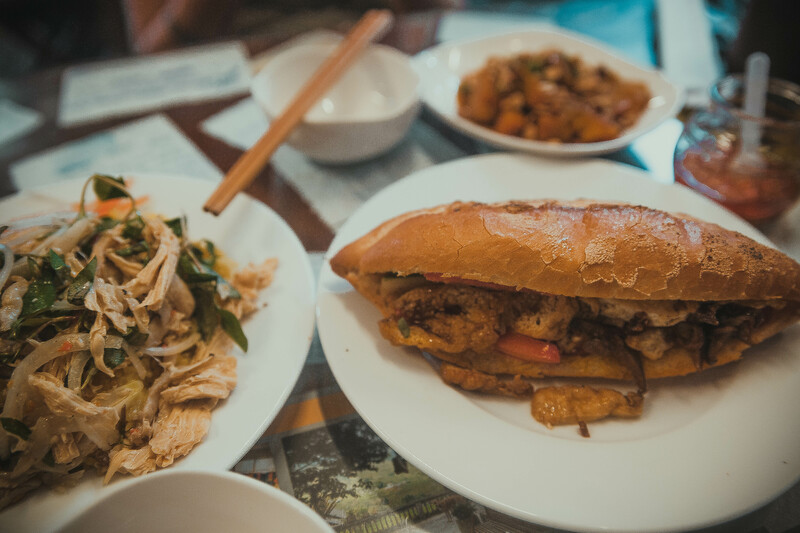 Make sure you order Banh Mi – one of the top dishes in Vietnamese street food culture. Vegan version of this baguette is filled with shredded tofu, carrot, cucumber and lots of coriander. Few more things from their menu: sautéed pumpkin with peanuts and garlic, passion fruit tofu with mango and coconut rice and wonton soup! 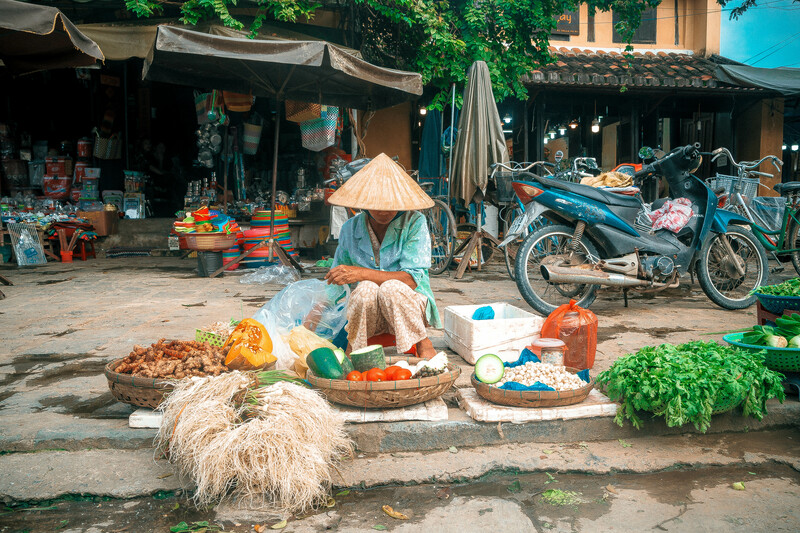 During the day, Hoi An is full of vibrant traditional markets with colourful fruit and veggies, endless stalls with different types of noodles, lots of handmade goods and crafts. One of the most iconic places of this ancient city is definitely Japanese Covered Bridge. Even if you are not a fan of history, it’s interesting that the bridge was built to connect communities of the Japanese and Chinese to improve trading in the end of 16th century. Very good photo spot, although will be hard to cross with no one else on it. 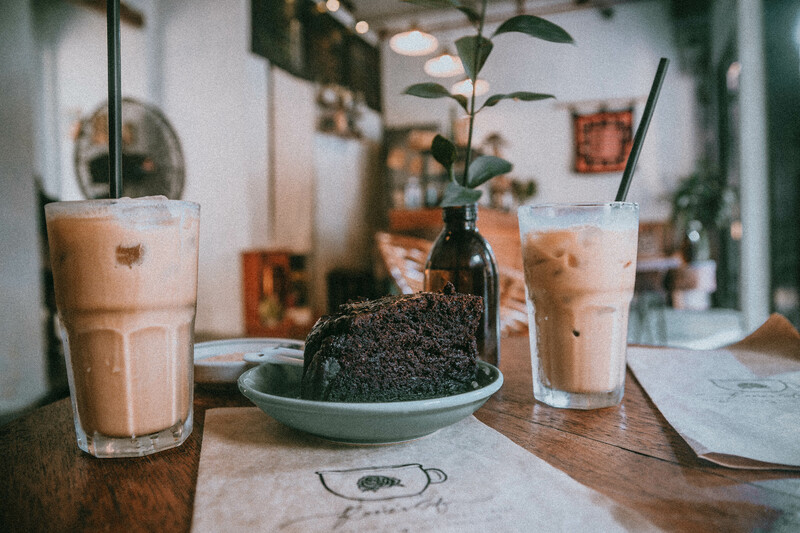 If you get tired of crowds and street buzz, head to Rosie’s Café and treat yourself with cold brew and vegan sweets. Quiet setting, perfect to chill for a while and recharge yourself for evening walks. Karma Waters – vegan restaurant, diverse menu and very cheap! Quan Chay Nhat Da – fabulous food from an extensive menu, reasonable prices too. The owner speaks perfect English and was very friendly. 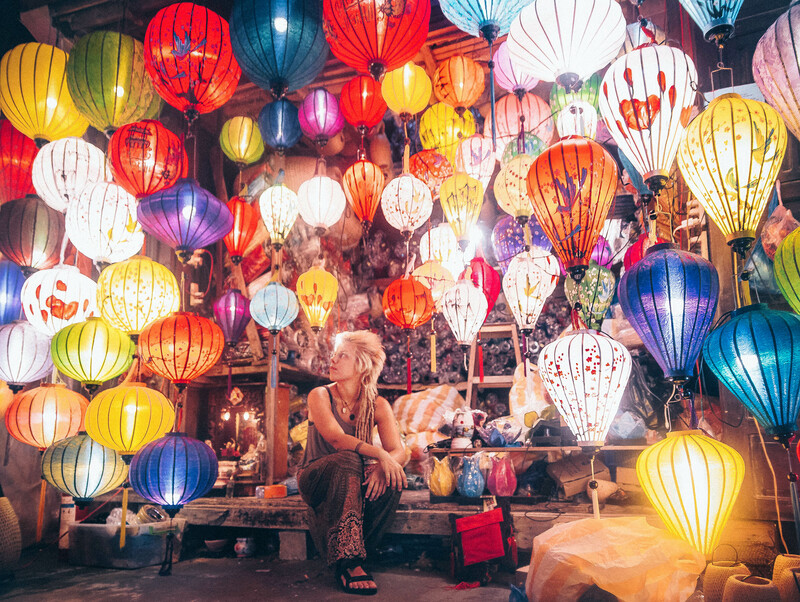 In the evening, market area becomes truly atmospheric because of endless lanterns with lots of colours. 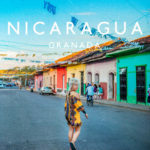 This ancient city is even more ambient and beautiful after sunset and you will definitely fancy to walk amongst all these beautiful stalls smelling incense and essential oils. Get yourself a souvenir or light up a candle from a local lady! 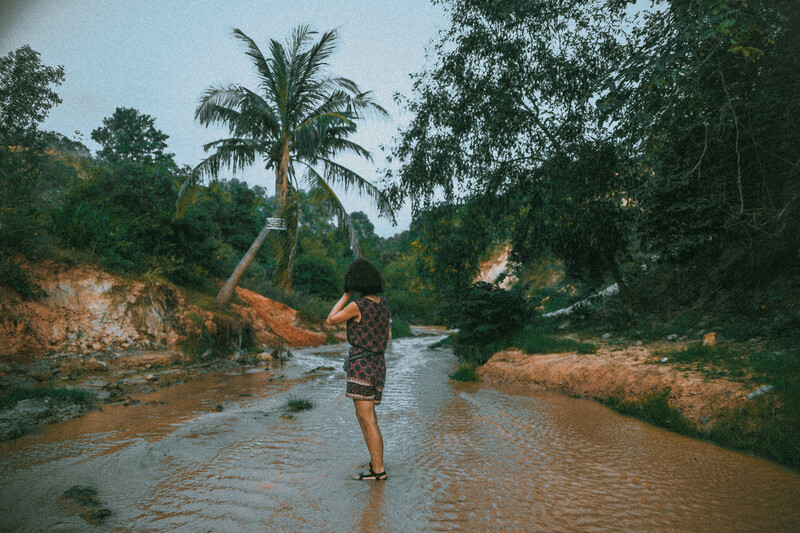 After Hoi An we headed south, where Dalat city is, because we love hills, we love lakes, we love pine trees and we love waterfalls. It was enough to explore cities, even though they are beautiful, they are still cities, full of people and noise. If you look for a true, untouched beauty of Vietnam, visit Central Highlands. 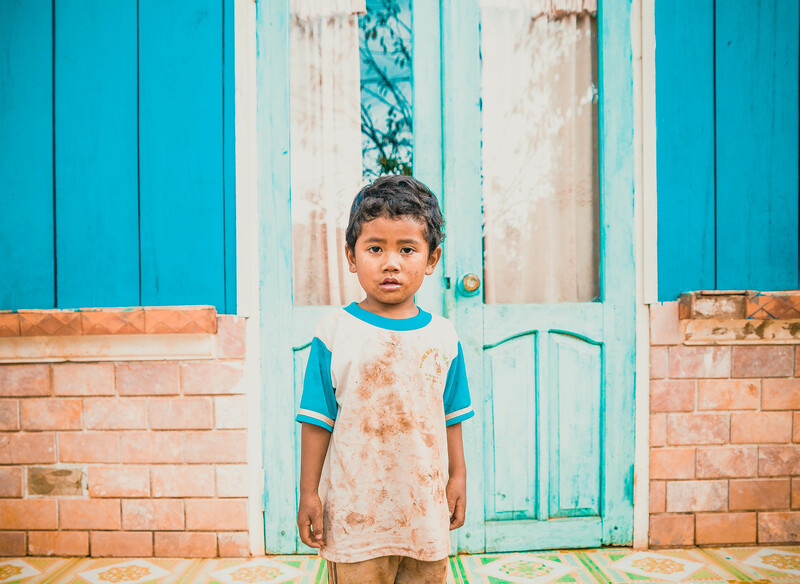 Climate there is totally different and temperatures lower, so get yourself a warm jumper! 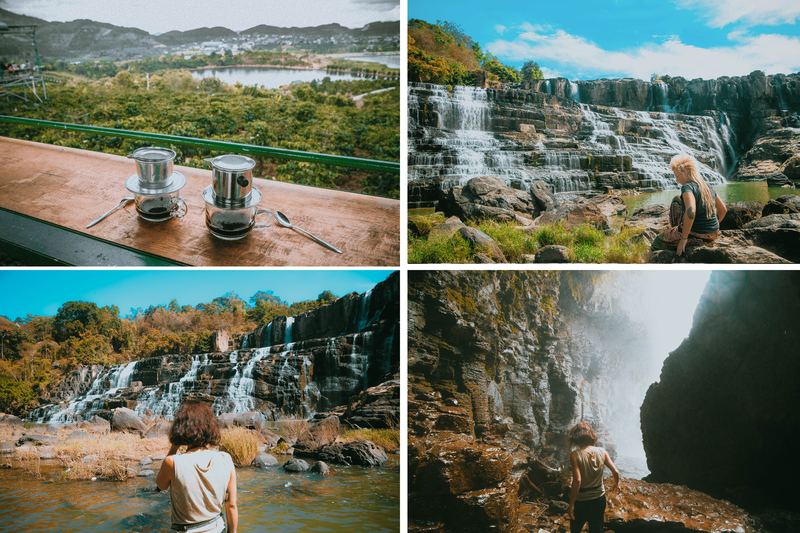 There are couple of stunning waterfalls around Dalat, you can book a tour at one of the hostels or office tours. 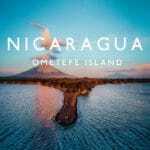 We managed to find a great deal for a reasonable price including a driver and tour guide. If you feel more adventurous there are also tours with canyoning, rafting and sightseeing on motorbike. 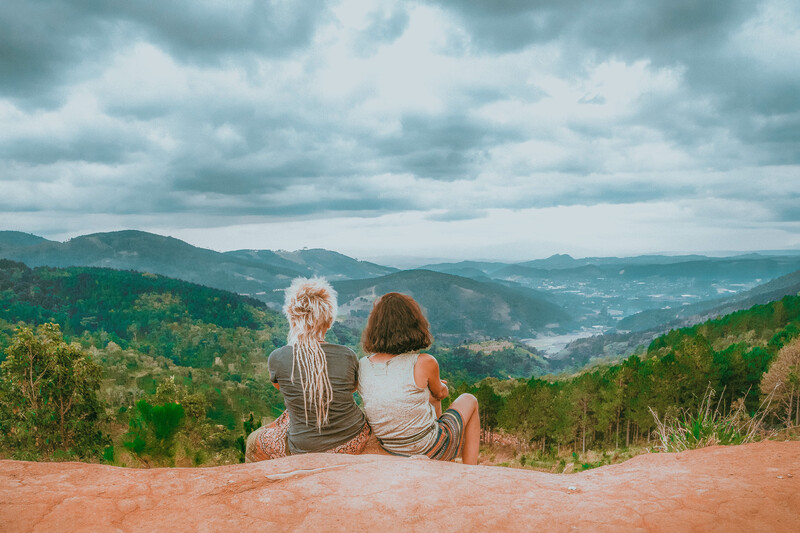 Our day itinerary included Elephant and Pongour waterfalls, coffee plantations, silk factory, visiting local villages and one of the points, where we could admire spectacular view of Central Highlands. Dalat also proved us again how easy is to find a vegetarian place anywhere in Vietnam. 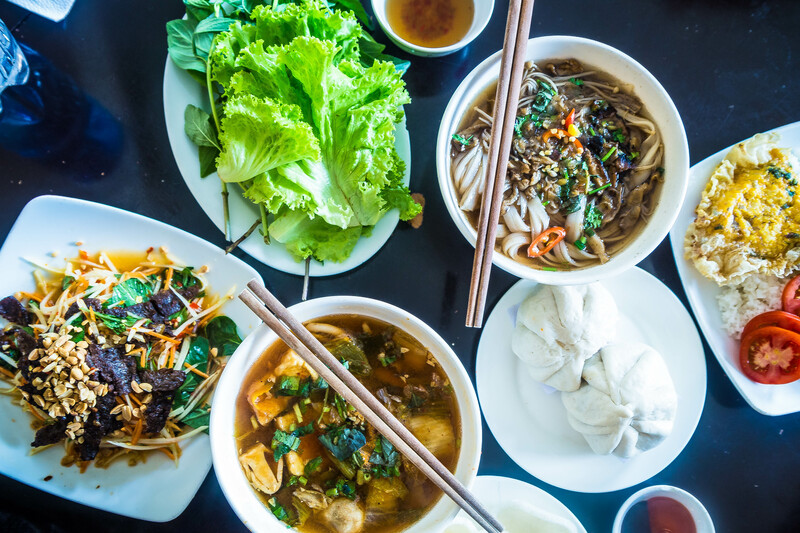 We would recommend checking the restaurant called Nha Hang Chay Hoa Sen with a massive menu and absolutely delicious cheap dishes even if you are not vegan. Make sure you order spicy kimchi soup, Bahn Cuon – rice dumpling stuffed with mushrooms, Bahn Gio – steamed rice dumpling stuffed with cabbage and tofu and papaya salad. 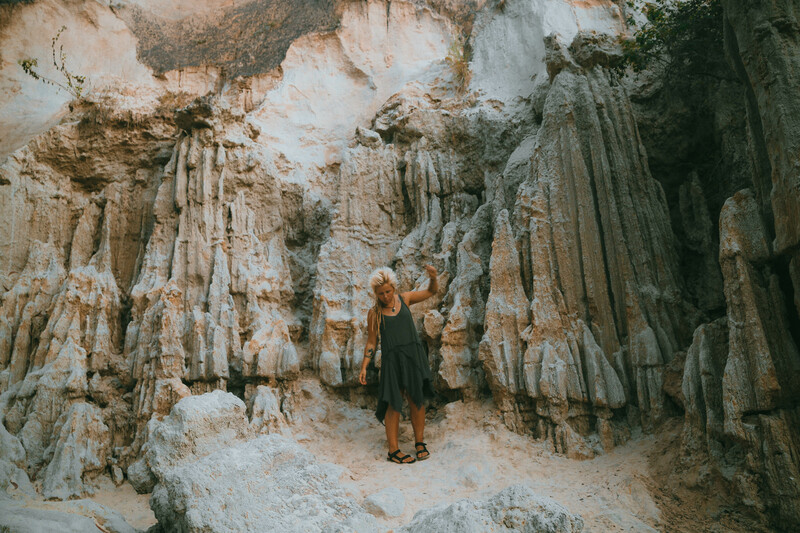 On our way from Dalat we decided to have a quick stop over in Mui Ne, small fishing town situated along the coast famous for its sand dunes. 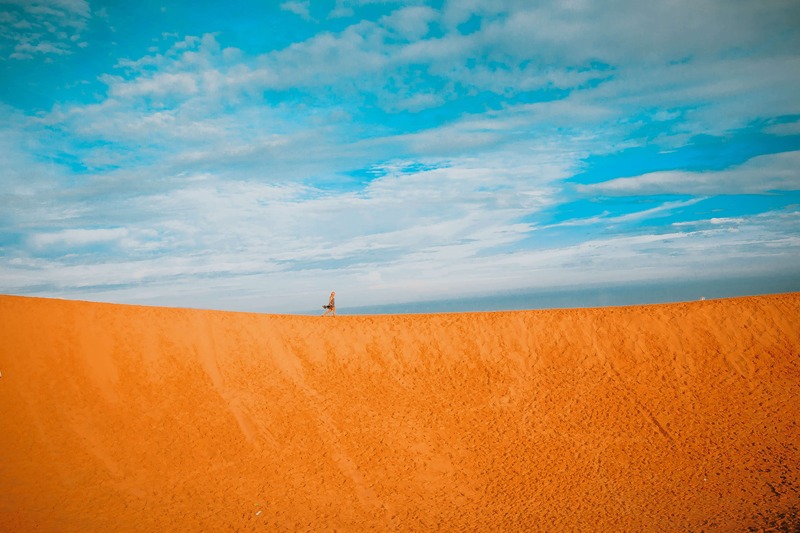 We booked our airbnb with a short distance about 1,5km from Red Sand Dunes which are smaller and less crowded than White Sand Dunes. Our host explained from where we could catch a local bus and it took us around 30 minutes to get there. We were still rewarded with beautiful scenery, without jeep tours and selfie sticks. Once you there it does feel like you are in the desert! 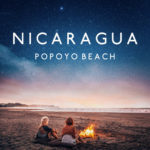 We would have stayed for an epic sunset, but we only had one day and also wanted to see Fairy Stream – a pleasant walk in a shallow river through bamboo forest and sandstone formations. 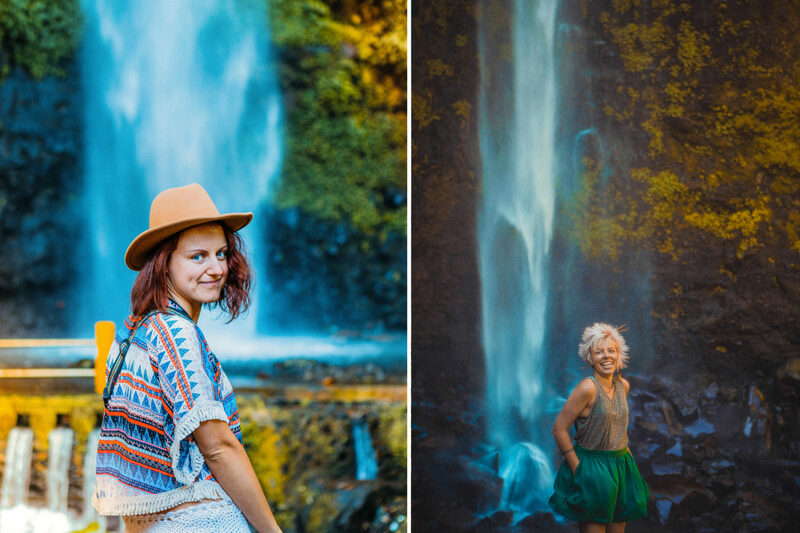 If you have enough time, after 1 hour you will reach a small waterfall. 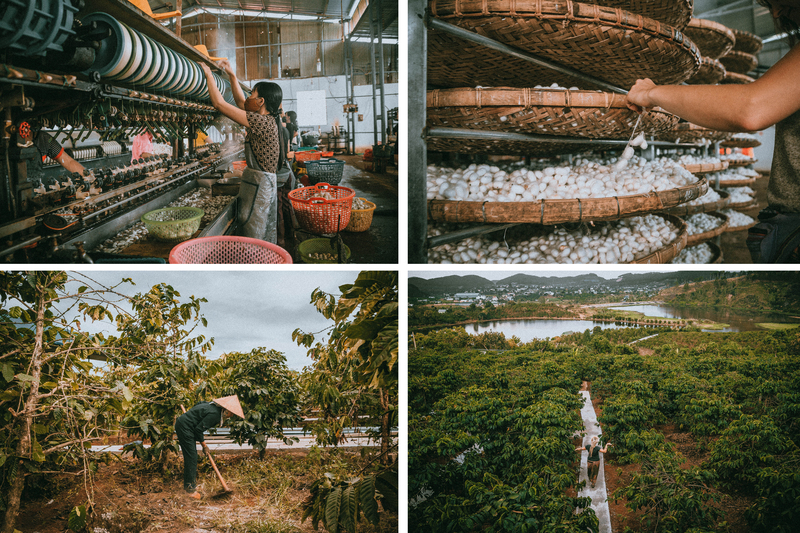 After Mui Ne, we headed towards the capital of Vietnam and considering the size of Ho Chi Minh City we booked Airbnb close to the airport just to make sure we avoid heavy and loud traffic of this huge city. The moment you there, you will realise why Saigon has been called a city of mopeds and why it takes so long to pass the street. For our last dinner we chose a small vegetarian restaurant called Buddha Chay, walking distance from our airbnb. Ultimate menu offers many vegan options and we picked quite a few – stir-fried abalone mushrooms with cashews, huge sharing hot pot with tofu, jackfruit salad and of course mango sticky rice for dessert – all of that cost less than 10£! 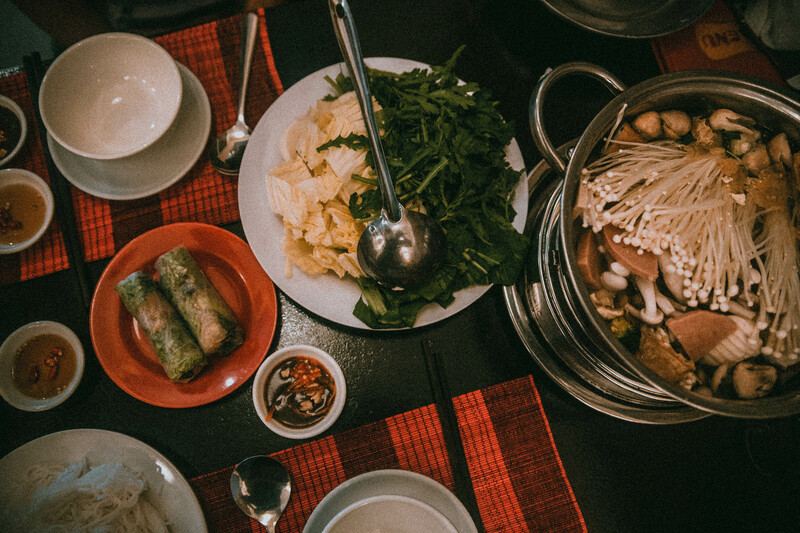 Once again we had an opportunity to immerse ourselves in beautiful Vietnamese food and we are so pleased to admit this one is still one of the best cuisines we have tried.